Emerald Group CEO Sawit Ketroj surrendered himself at Patong Police Station at 4:40pm yesterday (May 2). 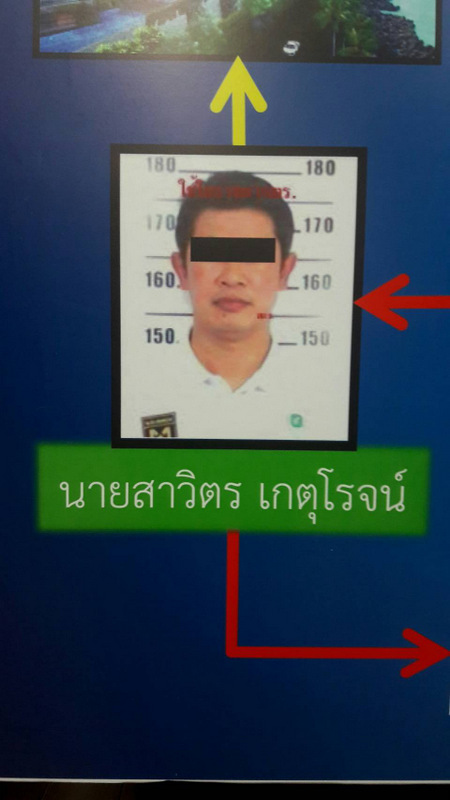 He was wanted on an arrest warrant issued by the Phuket Provincial Court in October last year. Mr Sawit’s arrest yesterday follows him spending much of the intervening months travelling abroad, including an extensive stay in China. 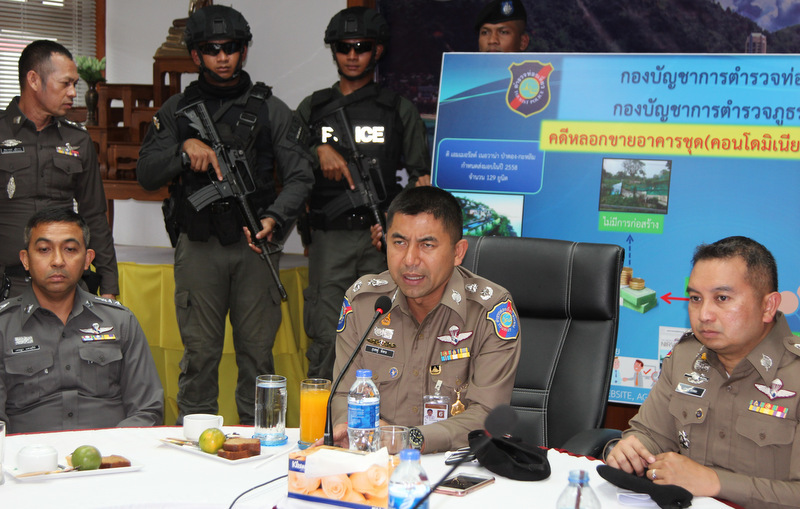 Mr Sawit was held in remand at Patong Police Station overnight and Tourist Police confirmed to The Phuket News this morning that Mr Sawit is to be presented at Phuket Provincial Court this afternoon to have the charge formally pressed against him. At that point the court may allow Mr Sawit to be released on bail. 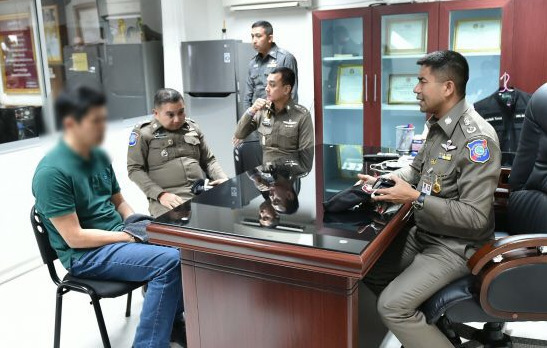 “Police will request that the court deny him bail,” Capt Ekkachai Siri of the Phuket Tourist Police told The Phuket News today. 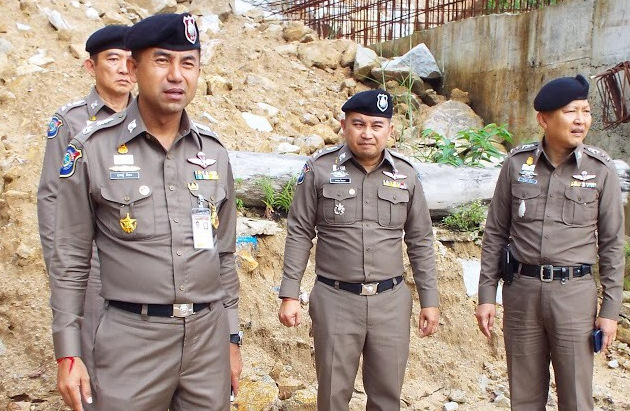 Tourist Police yesterday confirmed that Mr Sawit stands accused of defrauding investors of a total of B127,515,345 – not “billions of baht”, as reported elsewhere. The precise charge is breach of Section 22 of the Consumer Protection Act by providing false statements through advertisements published via the internet and other media, explained Tourist Police Chief Surachate Hakparn, who travelled to Phuket yesterday expressly to announce Mr Sawit’s arrest. During questioning by police yesterday, Mr Sawit explained that the Emerald Group of companies could not complete the projects because they had run out of cash flow, Gen Surachet said. Gen Surachate also noted that Mr Sawit had presented himself to police, and did not have to be hunted down to face charges. 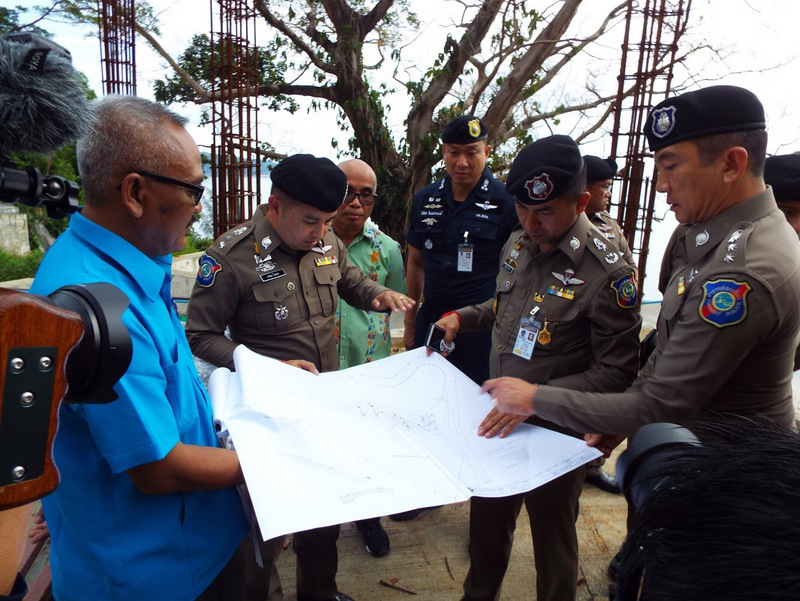 During his visit yesterday, Gen Surachate and fellow high-ranking police officers inspected the construction site of the Emerald Nirvana Condo Kalim Beach, overlooking Patong Bay. Gen Surachate explained that the investigation into the Emerald Group began after police received a complaint from one buyer who had not received units after more than B2.8 million had been paid. Since then police have linked the complaint to cases totalling more than B127mn in damages being claimed from the Emerald Group through complaints filed with the court, he added. The deadline for delivering the units was Dec 31, 2015, but by that date the units were not delivered to the buyers, and the buyers’ deposits had not been refunded. 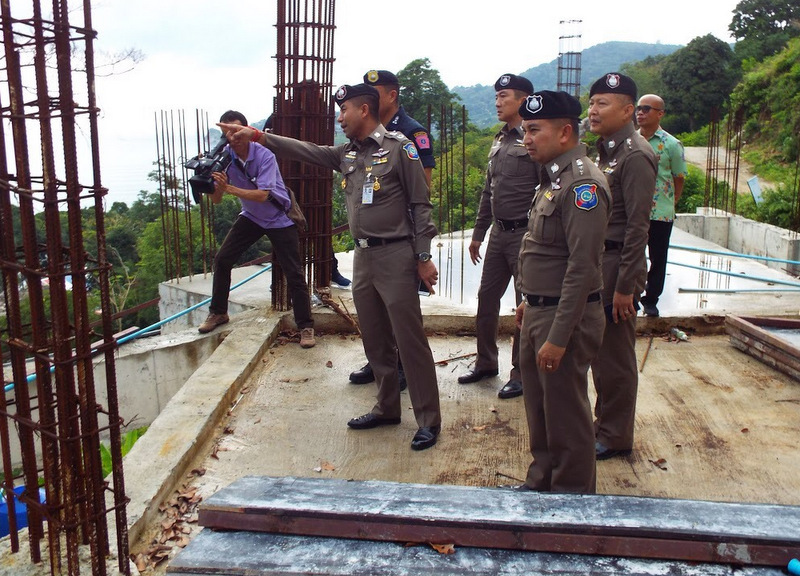 “Police began monitoring the projects in question and observed that the no progress was being made in the construction of the units, but the advertising of the units for sale continued,” Gen Surachet said. “Hence, police moved forward with pressing the charge (against Mr Sawit),” he added. 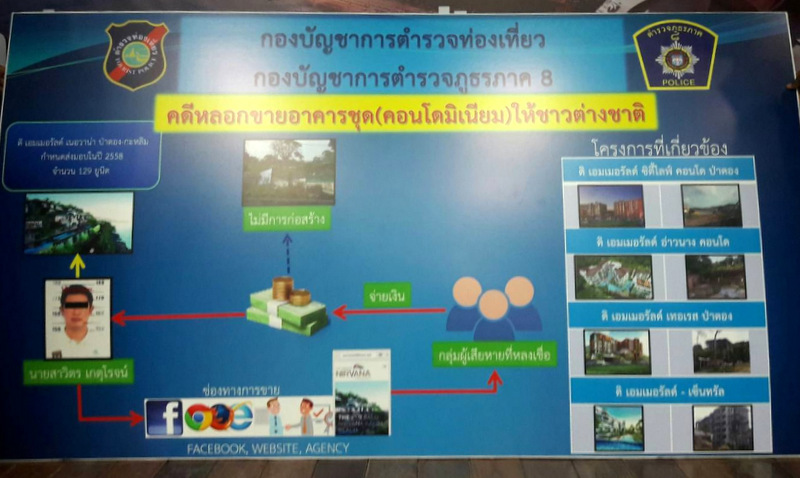 The charge relates to many condo units in Emerald Group projects in Phuket and Krabi, noted police in their report. 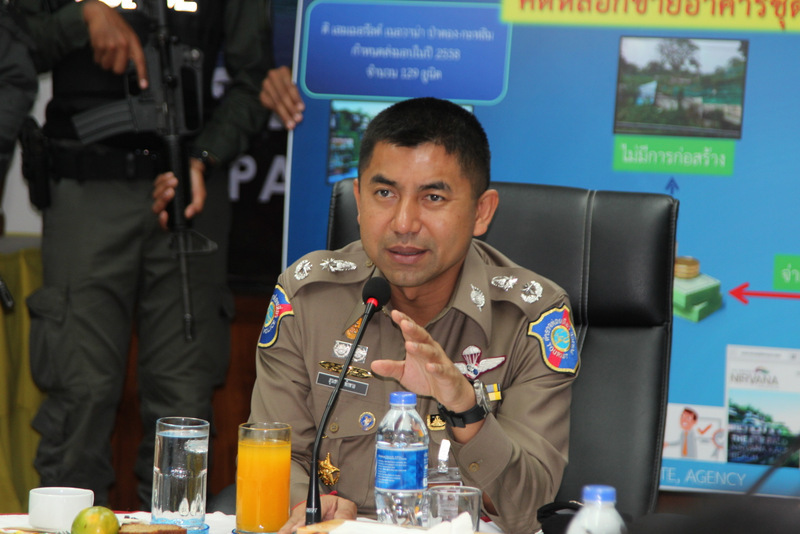 Gen Surachate told the press that police had received complaints from more than 300 people about not receiving their condos, most of the victims foreigners. Gen Surachate invited victims to file complaints directly with investigators so their cases can be included in the legal action taken by local police and Royal Thai Police can move forward with their investigation and “work together with other agencies in order to deliver justice”. However, Gen Surachate noted, “This type of case happens in Phuket, but it also happens elsewhere in the world. It can happen simply because some materials are not delivered by one contractor in the construction phase – meaning the units can not be completed at all and hence cannot be given to the buyers. “Problems like this can result in cases amounting to billions of baht,” Gen Surachate said. “Mr Sawit has explained what happened, now police must seize the assets involved in the case as evidence while they continue their investigation,” he added. Gen Surachate also explained that he has reported details of all claims reported so far directly to the Secretary-General of the Anti-Money Laundering Office (Amlo). “Please don’t worry. We will follow up where the money has been transferred to,” he said. “This kind of crime must not happen again in Phuket. This case affects Phuket’s reputation. If it continues to happen, it will make foreigners not want to travel to our country. We will try our best to deal with this and help the victims,” Gen Surachate assured.